In the last years of the War, as the German armaments industry was increasingly threatened by Allied air power, the Nazis decided to shift some of their production facilities underground. In Litoměřice, the former limestone quarry beneath the Bídnice plain was to be used for this purpose. In the Spring of 1944, work began here on the construction of underground factories code-named Richard I and Richard II. Thousands of prisoners were brought to work on the project, primarily Poles, Yugoslavs, Russians, Frenchmen, Belgians, Italians and other nationalities. 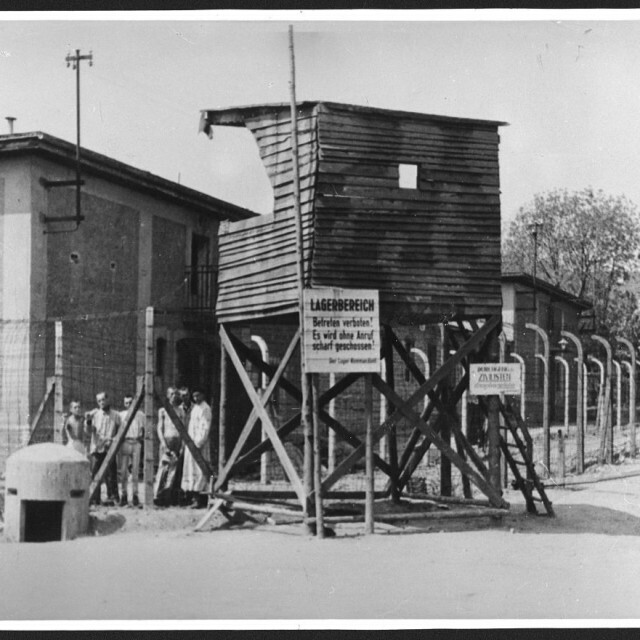 A work camp was established for them close to the building site, a subsidiary of the notorious Flossenbürg concentration camp – a workforce source. Prisoners prepared the ground surface, dug adits and prepared the spaces of the production halls. Specially selected individuals, together with forced labourers, then worked on the production of engine parts for tanks, heavy military vehicles and ships. After several months, they were joined by the large komando of the Gestapo prison in the Small Fortress at Terezín. Inhuman treatment, hunger, slave labour underground where cave-ins threatened, and finally an outbreak of typhus resulted in 4500 of the 18000 prisoners employed here dying in under a year.